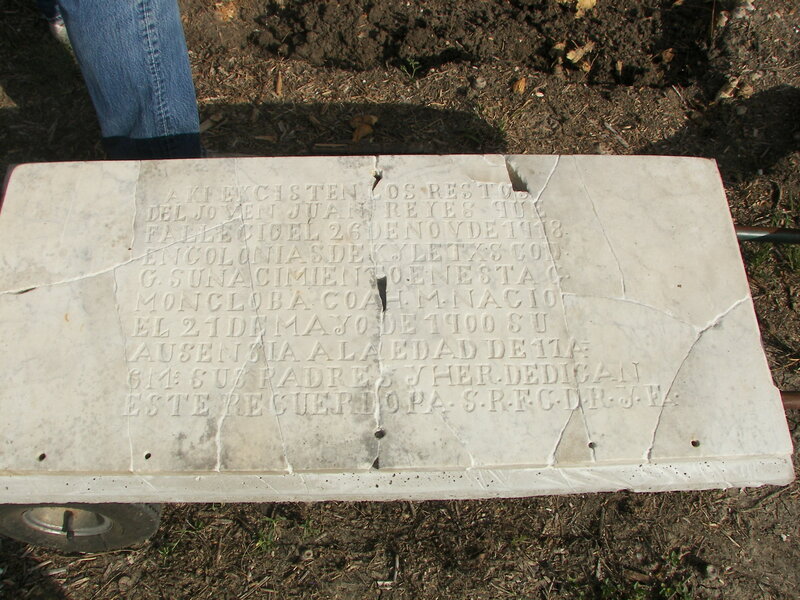 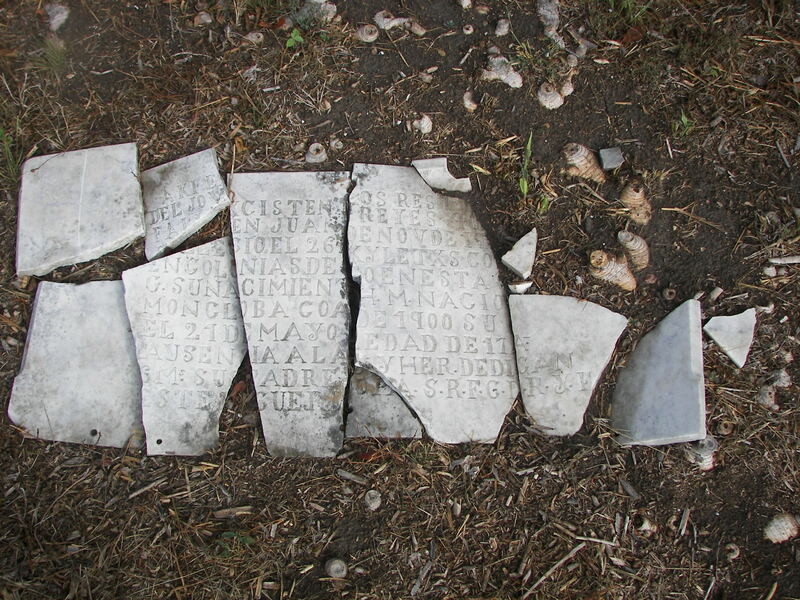 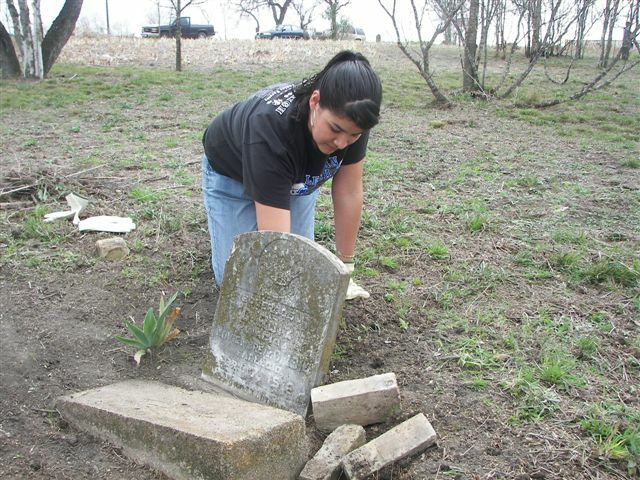 In one of its first test cases of implementing the Texas Historical Commission’s “RIP Guardian Program,” the Hays County Historical Commission is working to organize a group of interested volunteers to help restore one of the county’s most endangered cemetery sites. 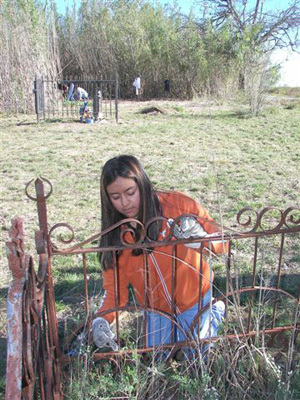 The Hays County commission is one of three counties piloting the program, Hill County and Uvalde County being the others. Guardian Program Specialist Anne Shelton presented an October 18, 2006, public orientation to the program and with the help of Hays Co. Road Engineer Jerry Borcherding, the Lehman High School National Honor Society, and Austin surveyor Floyd Ward of Accutex, work is currently progressing on the cemetery’s restoration. 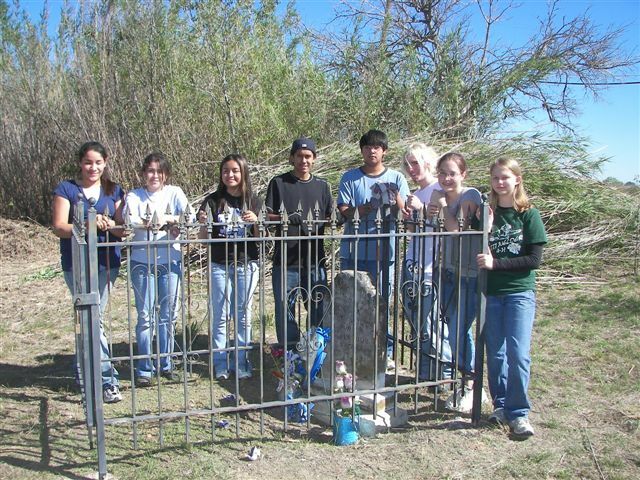 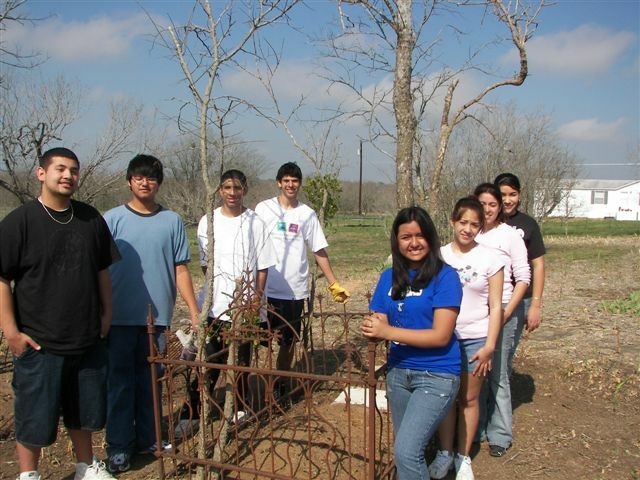 Lehman Honor Society students twice turned out for work in the cemetery during the 2006-2007 school year, during which time their Guardian Program application was prepared and submitted to THC. That application was approved by the state commission in the Spring of 2007 and it is hoped that the group’s community service will lead to a public discussion to draft a long-range master plan for the cemetery’s upkeep. 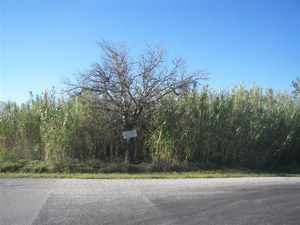 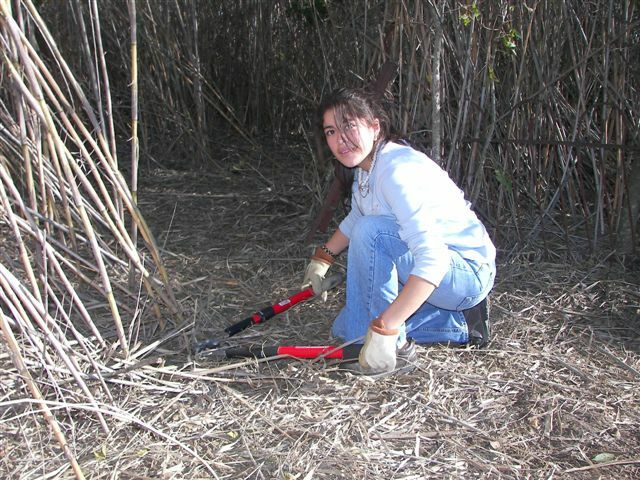 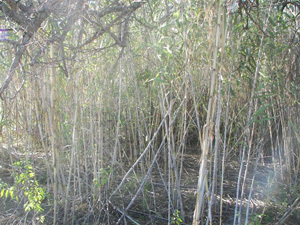 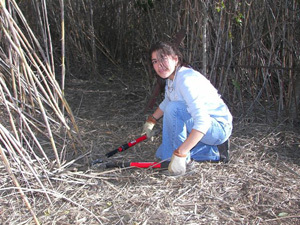 While students are out for the summer, there is currently a continuing need for volunteer service at the site, its most unique (and difficult) feature being the long-documented presence of a hard-to-control stand of cane over approximately half of the cemetery.